Isn’t very photogenic, its a “go back for more” dish, for sure. It started with a worthy recipe on the internet, but I made it 3 times in short order and tweaked it to perfection—I had lots of kale to use & lots of people to feed. Its exceptionally tasty with sweet potatoes, but good with just regular potatoes too. GREASE an oven-proof casserole dish. Lightly TOAST CUMIN SEEDS and set them aside. AND BAKE UNTIL FORK TENDER—REMOVE COVER AND BROWN SURFACE. 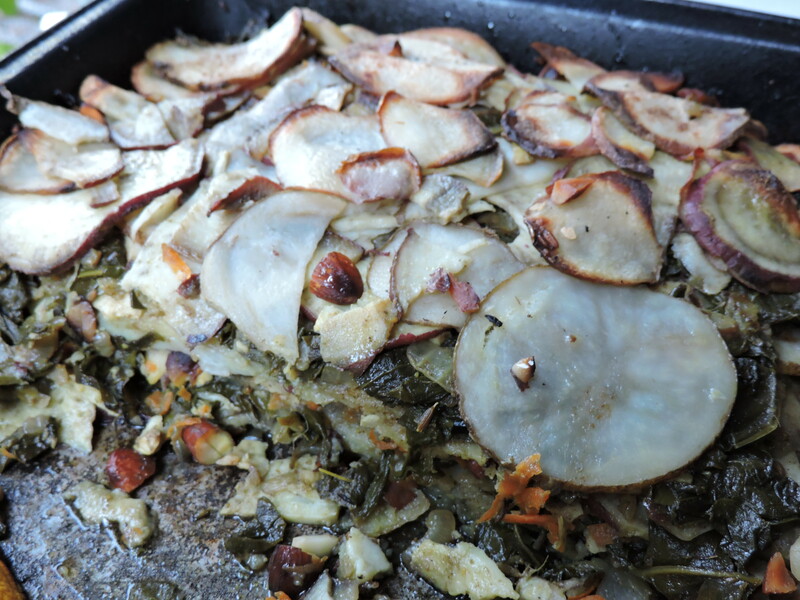 This entry was posted in Recipes from the Heart and tagged casserole, coconut oil, curry, kale, potato, vegan. Bookmark the permalink.